Helping them get their possessions where they need to go is Orange County Professionals. 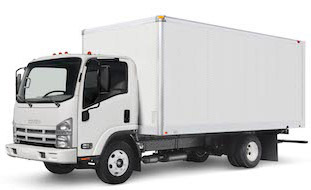 Moving company in Corona. If you are in or around Corona, then you will require One of Best professional moving companies in Corona. That is where we come in. Sporting a history of superior, client oriented service, let our Corona movers help you get to where you need to be. Below is a brief list of the services we can provide. With every truck full of high end equipment for the job, you can rest assured that our Corona movers will be able to provide the assistance you require. Taking extra time to pack things safe and secure, we work to minimize any damage that may result from transportation. Our Corona movers live in the area neighborhoods and know all specific features of the territory landscape and households. The average family in Corona has 3-4 members. Corona population is young: 30% of clients are persons from 25 to 44 and more than 30% of inhabitants are under 18. Considering the great amount of younger people and a large percentage of Hispanic population, we hire hard-working, patient and very often – bilingual people. We are opened to meet in our company honest, hardworking people who wish to work with us for long. Our staff knows well all ten neighborhoods of the area. When a team is sent to eagle Glen, El Cerrito, Home Gardens, North Conona, Downtown, Coronita, South Corona, Dos Lagos, Centra Corona, Temescal Valley they know each time the citizens habits there, demands, character of some householders. Our Company does the best to help their clients move despite of the roads quality or the landscape. Our professional guys will not ever disappoint our clients from Dos Lagos luxury apartment’s complexes. You will be pleased with the level of our services. Working with our staff is a breeze. These people are ready to come to you any day, even if you wish to move on Sunday. Fill in the Moving Quote on our site or come directly to the company office. We will never ask you to overpay for the job our people have to do. Packing, loading, unpacking and unloading, furniture assembling, wrapping and protecting your furniture are their musts. However, we always offer you to choose the insurance. We never exclude such things as Force Majeure. In case something happens with your cargo, some of our insurances will cover the cost of your belongings. Working with us and our guys, you can be always sure: your home units and your belongings are protected, insured and taken care of. Our professionals are ready to do any job, referring to packing things, wrapping the stuff, disassembling large furniture, unpacking the truck, assembling the units again and the similar work. However, you should know: it always takes time. We charge hourly rate (starting from the 3 hours of work volume), it will be better if you save your own time (and , thus, money) yourself. Start packing your things in advance. Make the list of your belongings and “group” them. For instance, you can mark such groups as Dishes, Books, Gadgets, Wires, Tools, Charges and Wires, etc. Professional Corona movers recommend you to pack your belongings into clear boxes from plastic, label non-transparent boxes with stickers or marking the packages with markers. Our company and Corona movers will never deal with non-allowed things such as guns, drugs, flammable stuff and explosives, toxic things. We do care about our Corona movers health and their safety. Please, do not include these hazardous units into your package list. Working at the list of your packing, consider the sequence of unpacking job. You will want to change something in your furniture arrangement when you come to a new place. Tell Corona movers about your plans in advance. Thus, they will know how to work more efficiently and move your stuff faster. Corona professional moving service.